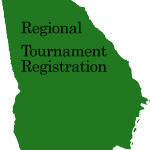 Regional Tournament Registration is live! 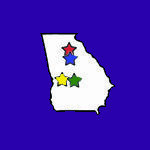 Visit the Registration Page in order to get all of the details on how to register your team for a regional tournament in Georgia. From there, we have a simple 4 step guide to help you get the team completely ready to participate in the 2017-2018 year! Membership registration is $135 to get your school/organization started. You will receive a copy of all of the problems for this year with the detailed rules and regulations. Regional tournament registration fee is $80. This cost will help cover the costs of running the tournament. Simply visit our registration page and navigate to the spontaneous workshop section to learn about the workshops we offer for teams to come and get some practice doing a variety of spontaneous problems before competition. The registration will open October 1st. Registration for the workshops are limited and will be done on a first come first serve basis. In order to reserve a spot, we must have a non-refundable deposit of $40 made via debit card, credit card, or e-check through PayPal. No exceptions will be made. The November 18th spontaneous workshop falls on the same day, location, and time as the in depth training for coaches. If coaches wish to attend the in depth training and have a team do a spontaneous workshop at the same time, they must have 2 additional adults with them. 1 adult to travel with the team and 1 adult volunteer to assist with the workshop. Please plan accordingly. We have added the 2017 tournament participation certificates to the website. You may download them at any time by logging into the coaches corner via the coaches login. We have all 4 certificates for all 4 tournaments already ready to go so that you can download and print them up as you need them. We understand some coaches like to have the certificates ready to go for team members on competition day and others may need them for an award ceremony at the school in a few months and they will be available on the website whenever you need them. The 2016 certificates are still available on the website in the same area for any coaches that may need them. Filling out the certificates is very easy. They are setup easily with two spots already on the PDF to enter the participants name and the problem they participated in. All you have to do is click on the area and type. Once filled out, clicking print or save will render a high quality version that will frame up nicely. To make it even easier, the names can be quickly be edited and a new copy saved for each participant on the team. To login to the coaches corner: Simply click the login button at the bottom of any page on our website. Then, enter your membership number in for the username and the zip code in for the password and click to login. We have updated the General Tournament Information for the 2017 tournament season. Please be sure to check out the coaches notes for tournaments and everything else we have located in the General area. All of this information is applicable to each tournament for the 2017 season. We also have information about some of the extra events going on at our tournaments that Coaches and parents can get involved in. Check it all out!